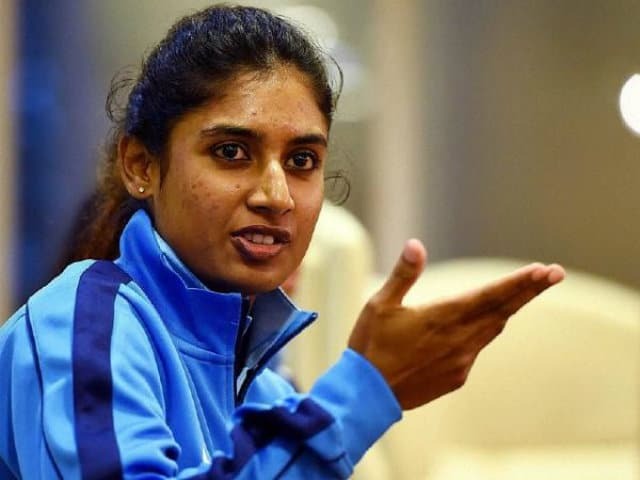 Senior Indian woman cricketer Mithali Raj on Tuesday slammed Committee of Administrators’ member Diana Edulji and coach Ramesh Powar, saying the two are biased against her and have tried to “destroy” her. In a scathing e-mail to the BCCI, which is in possession of PTI, Mithali said her axing from the World T20 semifinal against England reduced her to tears and left her the most deflated in her over two-decade career. In the note to BCCI CEO Rahul Johri and GM (Cricket Operations) Saba Karim, one of India’s finest batswomen alleged that she was disrespected by the duo of Edulji and Powar. “…I felt deflated, depressed and let down. I am forced to think if my services to my country are of any value to a few people in power who are out to destroy me and break my confidence,” Mithali, also the ODI captain, wrote in her mail. While Powar refused to comment on Mithali’s allegations, Edulji could not be reached for a response. Mithali spoke about how Edulji’s stance backing her axing, made her feel “vulnerable”. Edulji, in an interview to PTI, had stated that the team management’s decision could not be questioned on selection matters. “To put things in perspective, I have always reposed faith in diana Edulji and have always respected her and her position as a member of the COA. “Never did I think she will use her position against me, more after hearing what all I had to go through in the Caribbean as I had spoken to her about it,” Mithali wrote. A source alleged that Mithali was forced by Edulji to divulge the details of her meeting with Johri and Karim on Monday. “Her brazen support in the press with regard to the decision of my benching in the semi final of the T20 World Cup has left me deeply distressed, more because she knows the real facts having spoken to me,” the player wrote. Mithali has played 85 T20Is for India and has scored 2288 runs. She averages more than 50 in both the Test and ODI formats. “May I say that I am aware that by writing this email I am making myself even more vulnerable. She is a COA member while I am just a player,” she lamented. “But the brazen support of a COA member is a clear sign of bias and also that a stance has already been taken against me. By saying ‘I don’t support someone’ and then going all out to support my benching in the press is prejudice of the clearest sort,” said Mithali. She, however, made it clear that she has no hard feelings for T20 captain Harmanpreet Kaur, who was a party to the decision of her being dropped for the semi-finals and stood by it even after the defeat. However, her relationship with Powar hit the nadir in the West Indies and Mithali said she still hasn’t understood the breakdown. “My issues with the coach started immediately as we landed in the West Indies. At first there were small signs that his behaviour towards me was unfair and discriminatory,” she alleged. She said that Powar’s behaviour caused her “stress”. “For instance, walking off if I am sitting anywhere around, watching in the nets when others bat but choosing to walk away when I am batting in nets, if I try to go up to him to talk to start looking into his phone and keep walking,” she said. “It was embarrassing and very evident to everyone that I was being humiliated. Yet I never lost my cool. According to Mithali things went from bad to worse after that. “After the meeting his behaviour turned worse. He would not even acknowledge me. To him I didn’t exist in the team. Mithali said she was even asked not to show up at the ground by Powar during the game against Australia. “In the evening after the team meeting before the Australia game, Ramesh rings up in my room and instructs me not to come to the ground as the media will be there,” she alleged. Mithali said Powar also deliberately ignored her at nets to make it clear she won’t play the semi-finals after which she broke down. “It was worrying and insulting because the coach was out to destroy and humiliate me,” she wrote.